Let’s face it: no matter how well you take care of your automobile, you’re eventually going to need to take it to the shop. Some services will be preventative. You’ll want to get your oil changed and stick to your vehicle’s maintenance schedule to ensure your car runs well for an extended period of time. Other services will be unexpected but necessary. Things happen, and vehicles, unfortunately, do not last forever. If You Have Friends Who Know Cars, Ask Them Who They Use: This is probably one of the best ways you can find a good mechanic. Ask your friends and family who they use. If the same name comes up several times, and it’s not a chain, you probably have a winner. 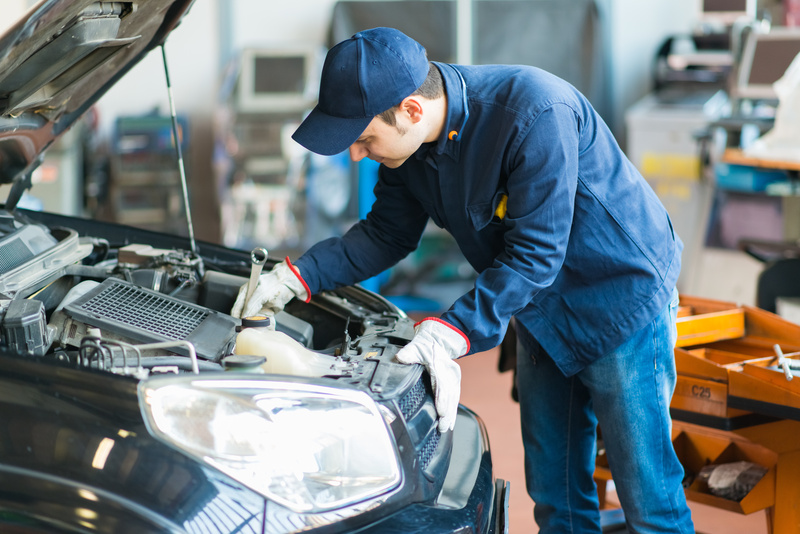 Plus, your friends and family can provide you with some insight on how to repair or maintain certain parts of your vehicle that you might not be able to find by just investigating online. Check the Better Business Bureau and Other Reviews Sites: If a mechanic cheats someone out or does not provide the level of service requested, they may be reported to their local Better Business Bureau. Check this site out before you make a decision on a mechanic to make sure he or she doesn’t have any negative marks. Other sites like Yelp and CarTalk may provide invaluable information as well. As a company who actively seeks reviews, eTags knows the importance of providing a reliable and valuable service that customers appreciate and look to use again in the future. And ultimately, that should be one of your goals; finding a trusted mechanic you feel comfortable going to again. Interview Your Potential Mechanic: No seriously, just like a job, you want question your potential mechanic on what they know, how they charge for parts and service, and more. Ask the potential mechanic questions about their experience, fees, ASE-certification, the types of parts they use, their hours and turnaround time, the types of vehicles they work on, whether or not they offer loaner cars, and more. After the interview, you will have a better idea of the mechanic’s work ethic and experience.